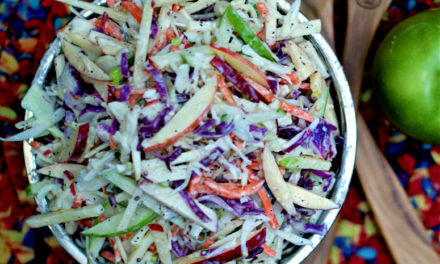 Sometimes a meal becomes all about the side dish! 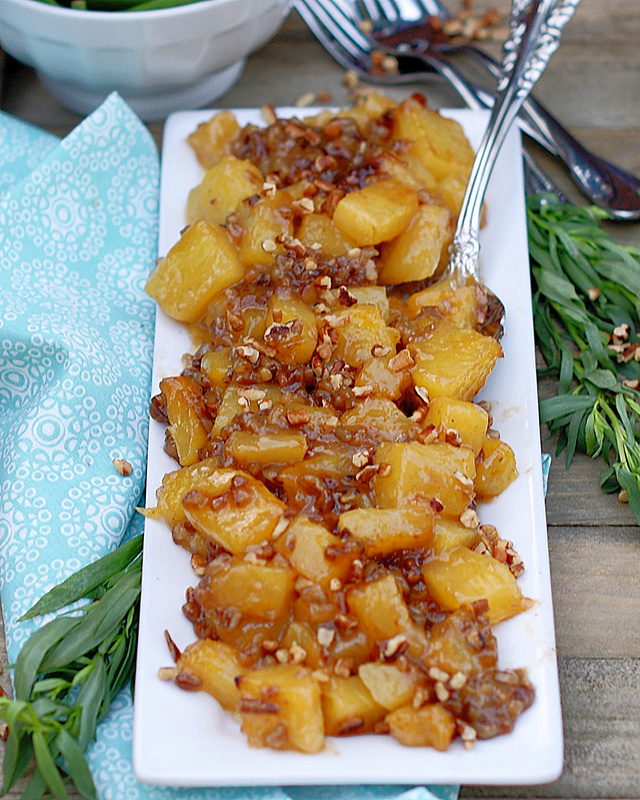 That’s certainly the case with these easy Brown Sugar Roasted Pineapples. 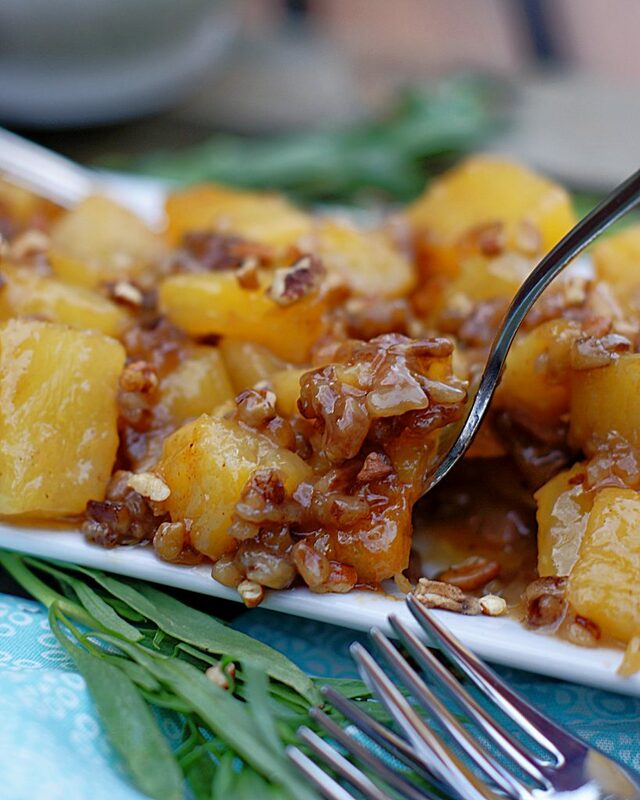 Warm pineapple tossed in just the right amount of caramelized brown sugar and pecans is hard to resist! The perfect partner for ham and other cuts of pork, these pineapples will have you rethinking what a side dish is all about! My family is crazy about fresh pineapple. Who knows why. Maybe it’s the bright, sweet citrus taste. Maybe it’s all the different ways you can prepare it. But whatever the reason, there’s almost nothing that will bring them to the table faster than the mention of this happy, yellow fruit. 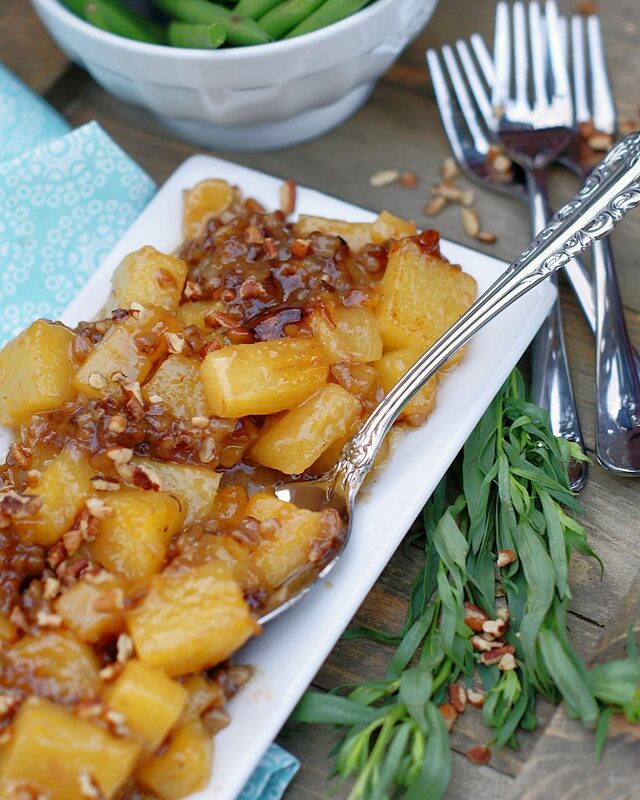 And of all the ways we eat it, this little roasted side dish is definitely a favorite! Which couldn’t make me happier since it is so easy to make. 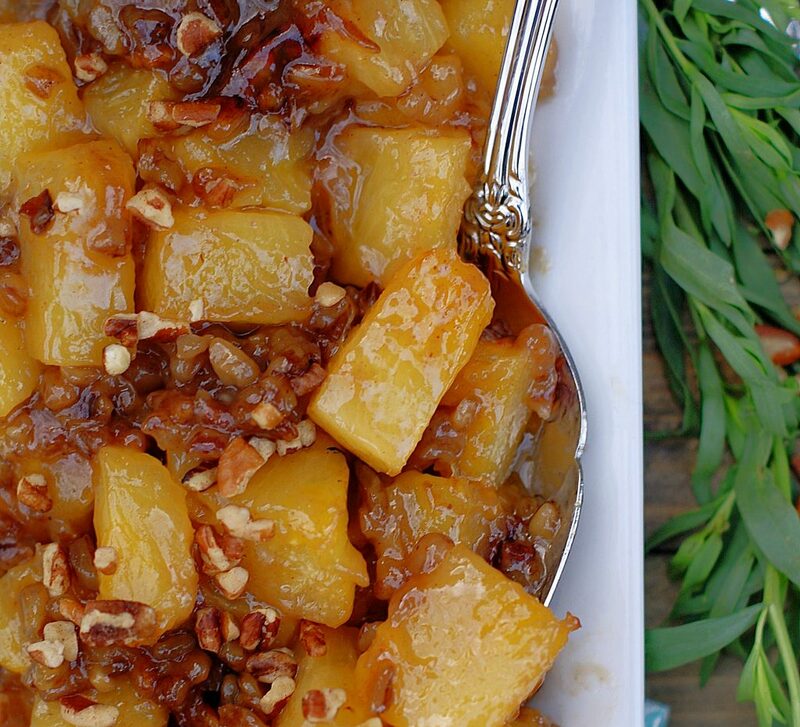 Simply toss the pineapple in a little brown sugar, flour and pecans and pop them in oven. That’s it! And talk about versatile. We eat these these golden bites at holidays, for dessert, with Saturday brunch, when we cook out, even on ice cream! They just seem to go with everything! And we haven’t even mentioned the ‘wow factor’ here. Seriously, just one look and this is the dish that everyone wants on their plate. Don’t you just love when wonderful and easy happen at the same time? I do! Let’s share a little wonderful with those we love the most this week! 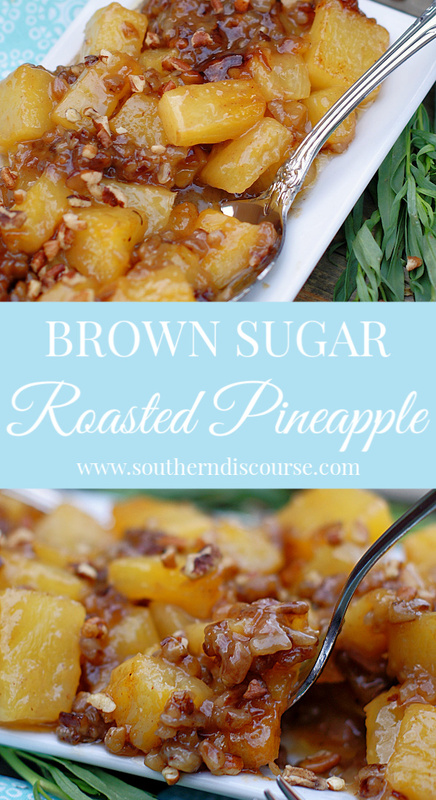 A wonderful side dish for ham and other cuts of pork, Brown Sugar Roasted Pineapples also make a great sweet treat. Perfect for Easter, Mother's Day and other holidays! 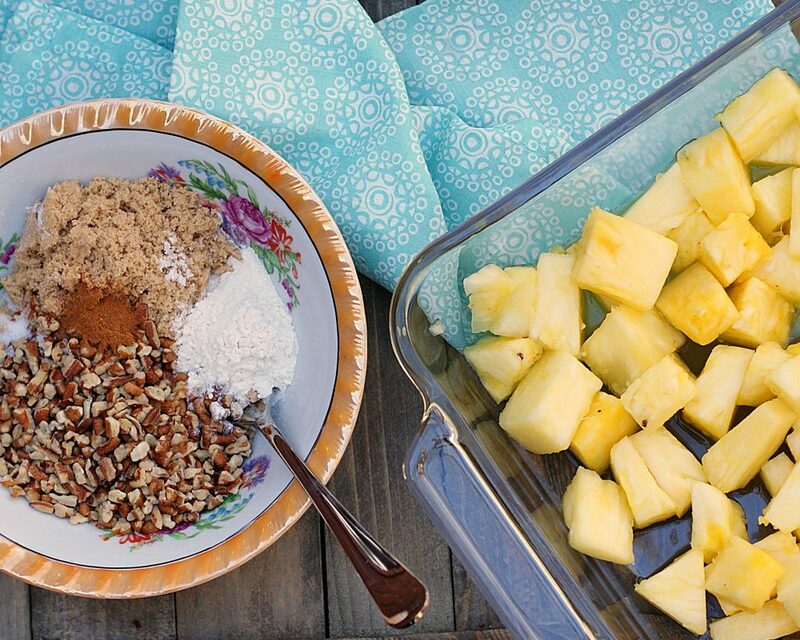 Arrange pineapple chunks in a single layer on the bottom of a 9x13 baking dish. Pour pineapple juice over the pineapple. Mix dry ingredients well in a small bowl. Sprinkle dry ingredients over the pineapples, then toss so that all of the pineapples are well coated. Drizzle melted butter over the coated pineapples. Roast in the preheated oven for 30 minutes or until the pineapples are golden and the brown sugar mixture caramelized. Stir every 10 minutes. Pop the pineapples under the broiler for 1-3 minutes if you want a more caramelized look. 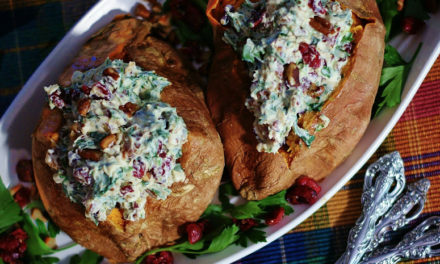 Looking for more holiday side dishes? 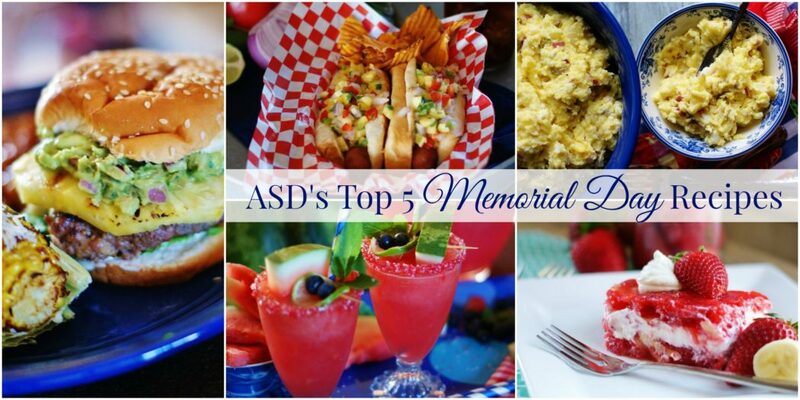 Try these favorites! This looks great, I definitely will try it. 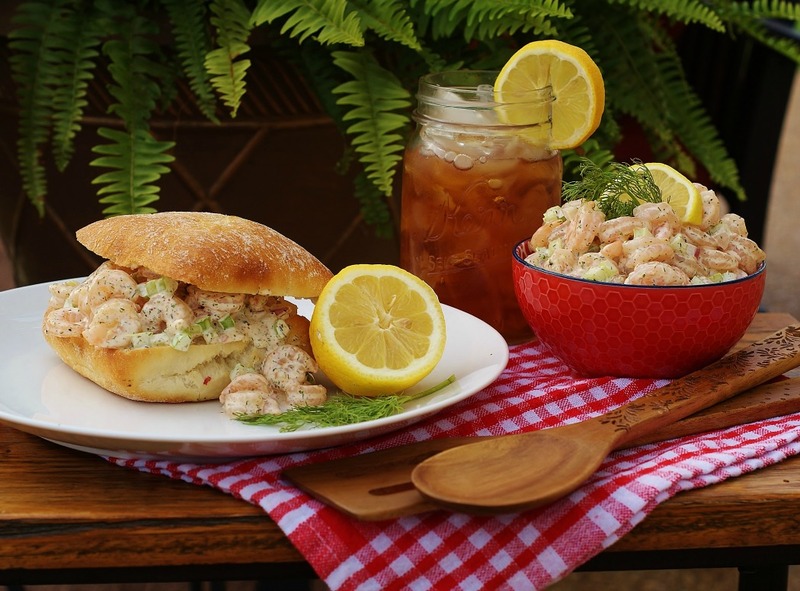 Have you tried Scalloped Pineapple? Our favorite side dish with ham. Let me know how you love it! 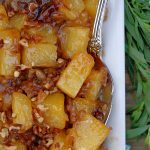 I have tried Scalloped Pineapple! It’s delicious. Around here, it’s called Pineapple Casserole. You’re right, so good with ham! This is definitely going on my Easter menu! Looks delicious! Thanks! I can’t wait to hear all about it!